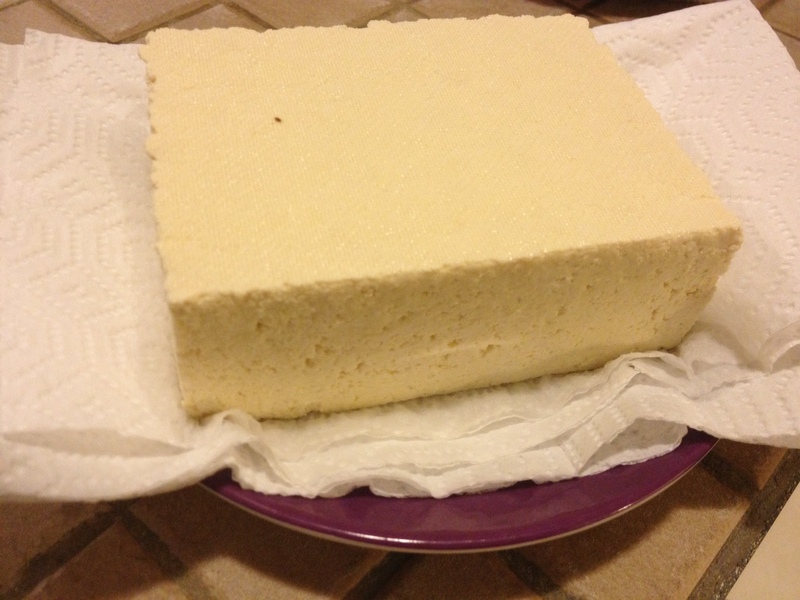 Remove tofu from package and let rest on several paper towels. This helps to remove some of the moisture. 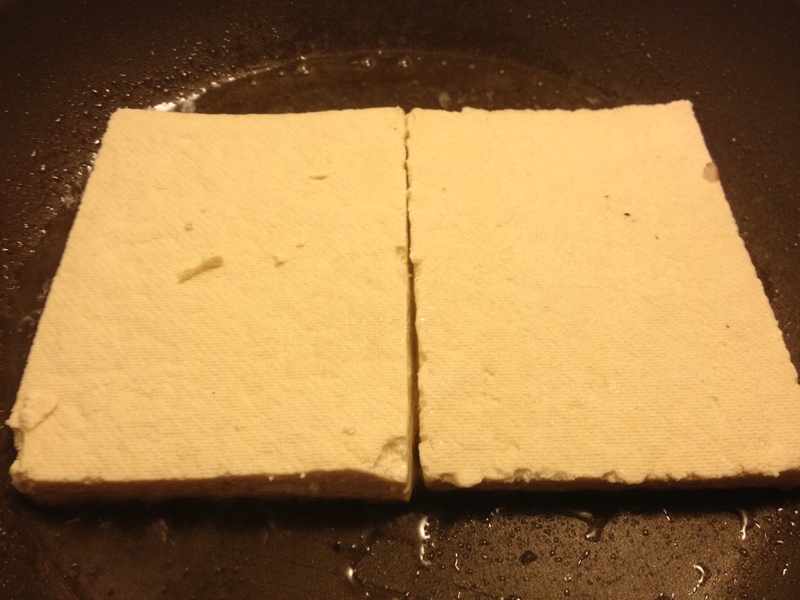 Slice tofu into desired thickness…I usually slice into three equal slices. Heat about 1 tbsp of olive oil in a skillet. 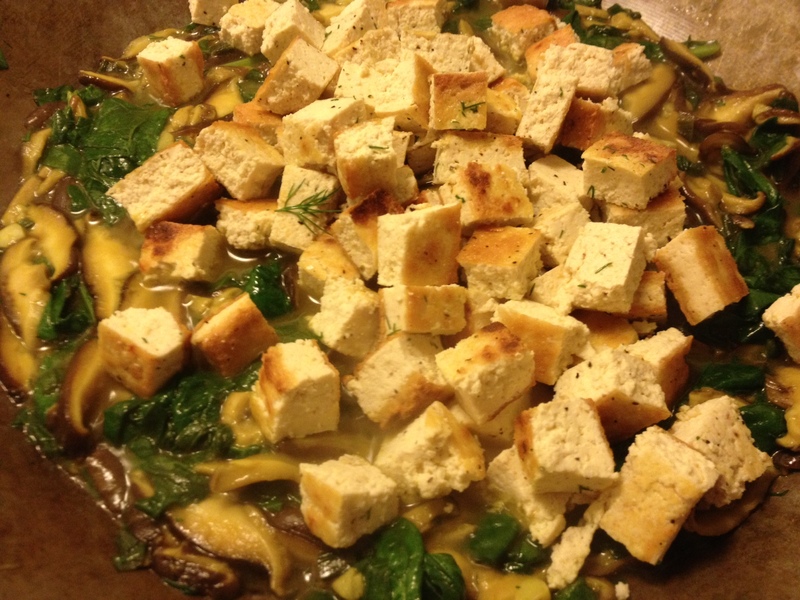 Add slices of tofu to skillet. Heat on this side for about 5 minutes, or until golden brown. Flip over and repeat. 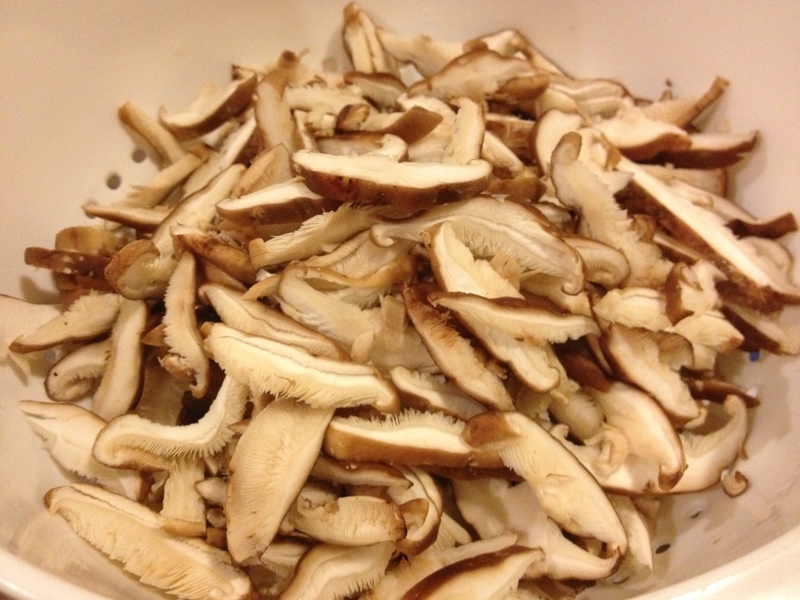 Once second side is nice and brown, remove from pan and let rest on paper towels. 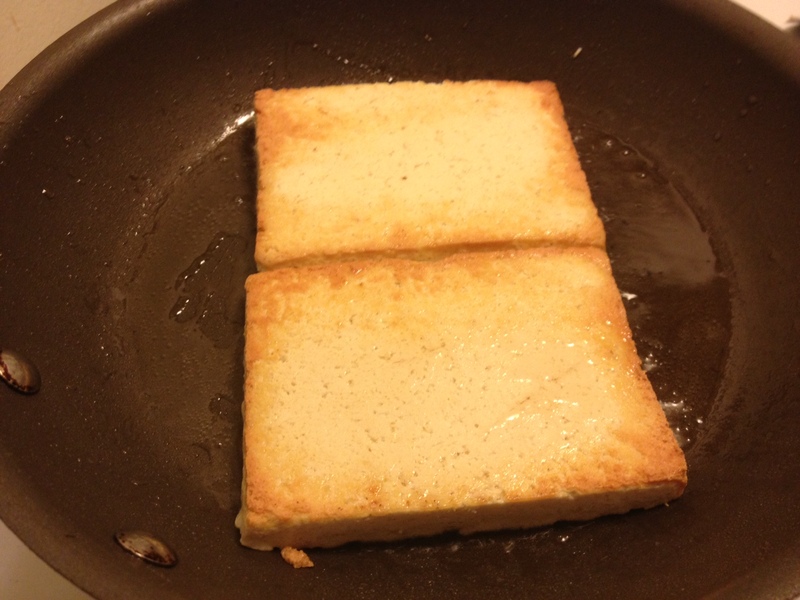 You can set the tofu aside until the end of the recipe. Just be sure to dice it before adding. 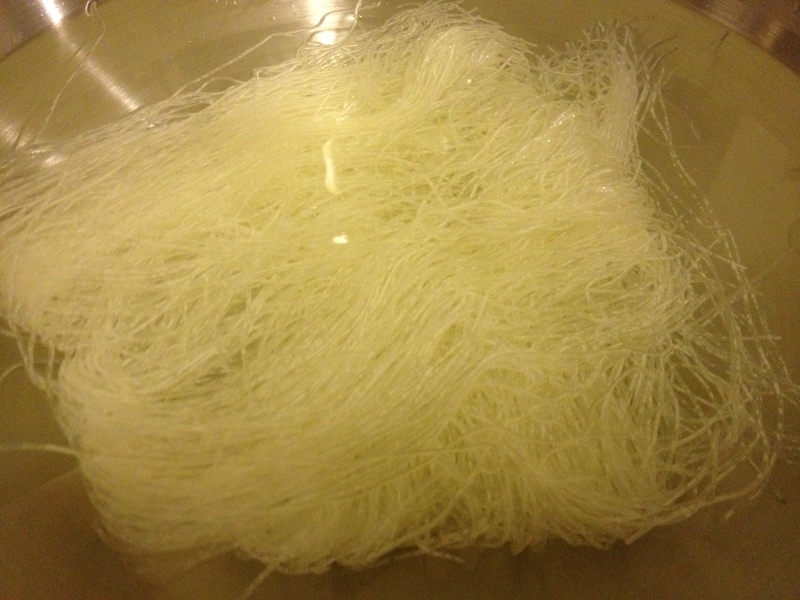 Soak rice noodles in hot tap water for recommended time (usually about 30 minutes) or until tender. 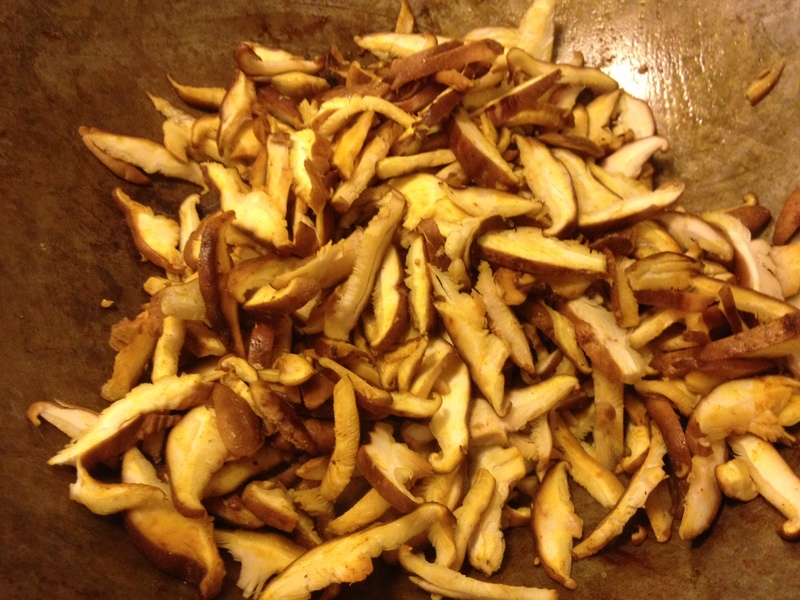 Once tender, drizzle with rice vinegar. 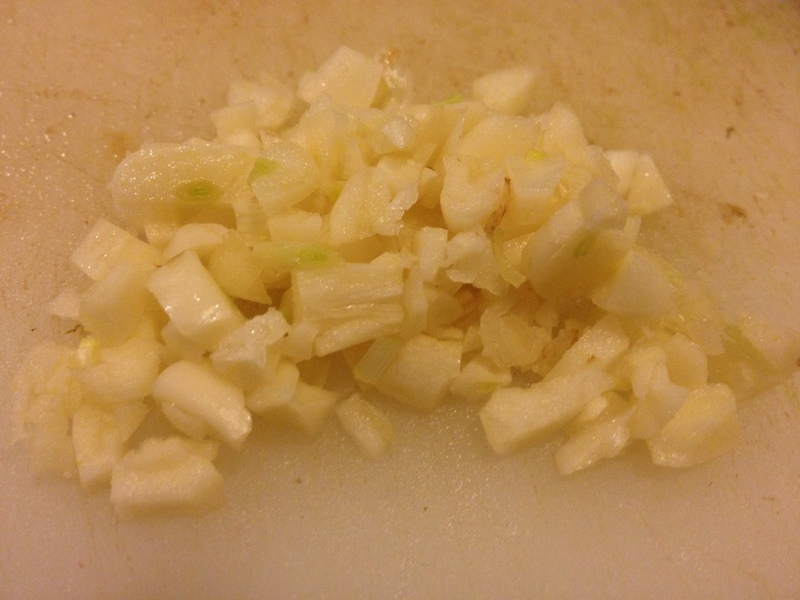 Make sure you have minced your garlic and sliced your shitakes. 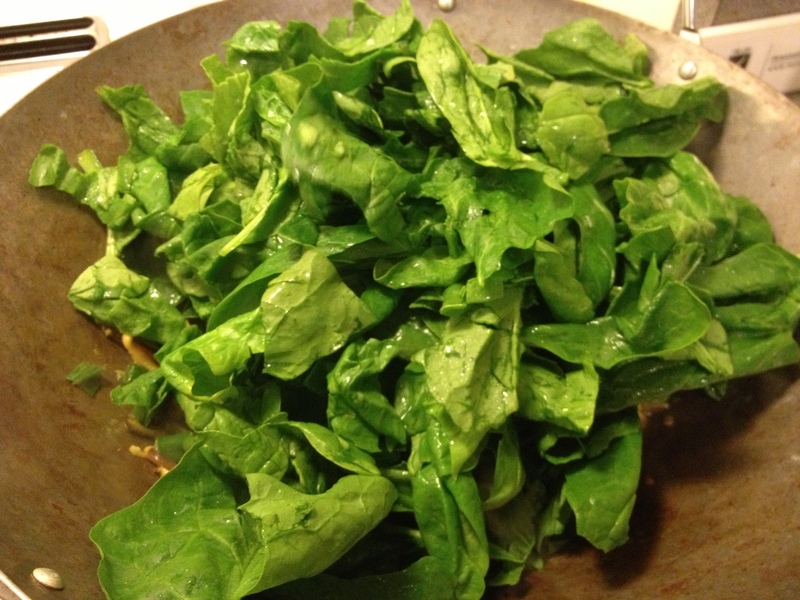 Heat 1 tbsp of olive oil and 1 tbsp of sesame oil in a wok, dutch oven or large pot. 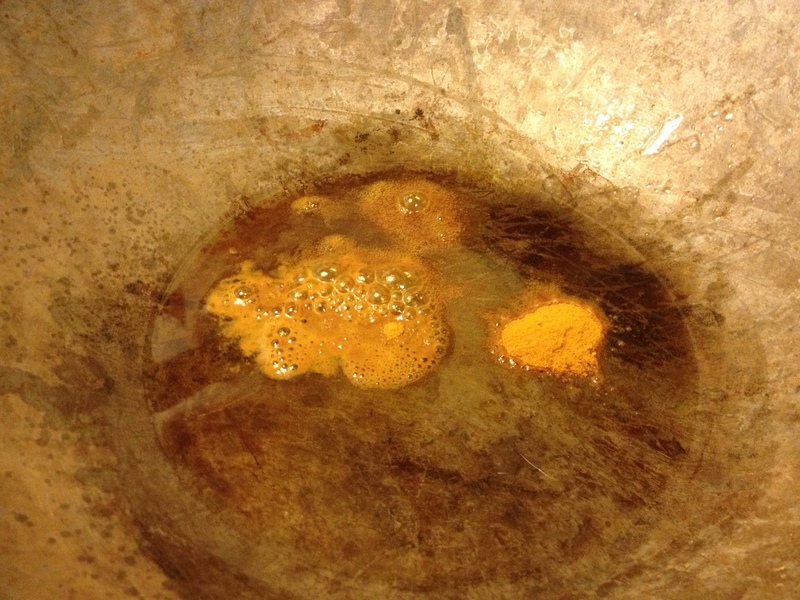 Add the turmeric and toast it for about 1 minute. Add garlic and shitake mushrooms and cook until mushrooms start to become tender, about 3 minutes. Add rice vinegar and lime juice and cook 2 minutes longer. Add diced tofu to wok. Taste test and add salt and pepper if necessary. Feel free to add sriracha, chili paste or red chili flakes for a little kick. 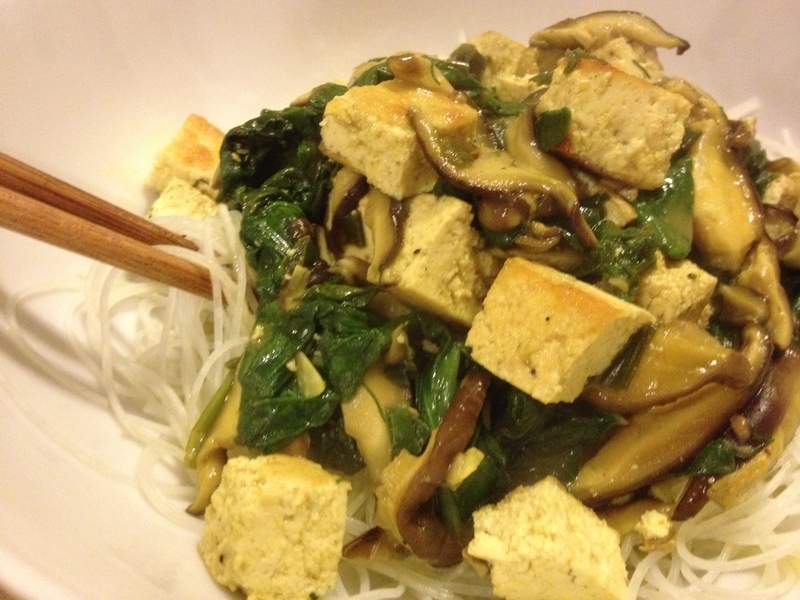 Put noodles on a plate and spoon tofu/spinach mixture on top of noodles. Doesn’t that look so yummy! It is, trust me! This should make about 8 servings of food. Like I said, if you are not interested in the vegan version, feel free to add some shredded chicken in place of the tofu. I recommend poaching it beforehand and shredding it. 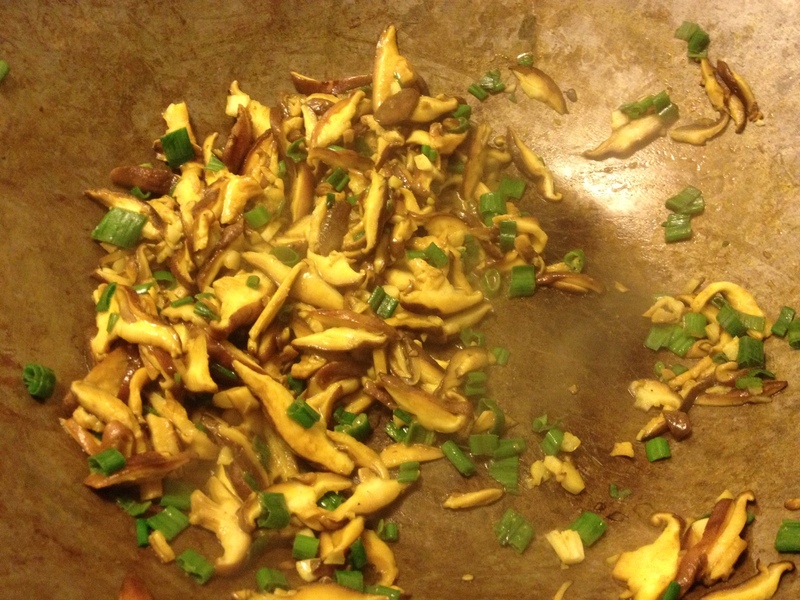 Just add it to the wok at the very end and stir to heat through. As usual, please message me if you have any questions about this recipe or anything else for that matter!